Shop online for over 300 bluford model trains at discounts up to 22%. This is the N Scale Summer Cornfield from Bluford Shops. This is the HO Scale Large Summer Cornfield from Bluford Shops. 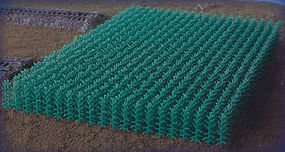 This is the N Scale Autumn Harvest Cornfield from Bluford Shops. This is the N Scale Steel Transfer Caboose - Ready to Run - Undecorated from Bluford Shops.